CPI (M) General Secretary Sitaram Yechury speaks during a press conference in Navi Mumbai on Sunday. Express Photo by Narendra Vaskar. 26.03.2017. Mumbai. “Demonetisation by Modi on a whim, against all advice from RBI, was a way to whitewash black money. We know how jobs and lives were destroyed by notebandi. Now claims like ‘cashless’ economy also have turned out to be false and misleading Jumlas. 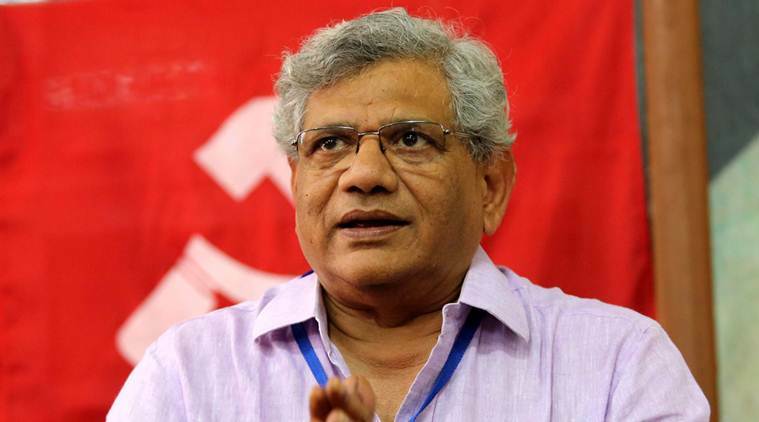 #DemonetisationDisaster,” Yechury tweeted.